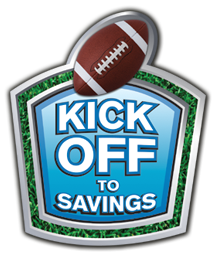 Kroger and affiliate stores have a new instant win game called Kick Off to Savings here. There are over 30,000 instant prizes that you can win including Philadelphia Cream Cheese, Juicy Juice, Skinny Cow Cups, Nestle Nesquick and more! Enter every day until October 31, 2010. Limit 2 prizes per person. Let us know in the comment section below what prizes you win! THANK YOU FOR MY FREE COKE 20OZ.